Note: You need Deep7's Pax Gladius main rules to use the product! 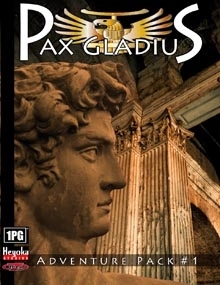 Have you used up all the scenarios from Pax Gladius yet your players are asking for more? Supplement your citizen's loyalty to Rome with five new scenarios that comprise The Dark Continent campaign!